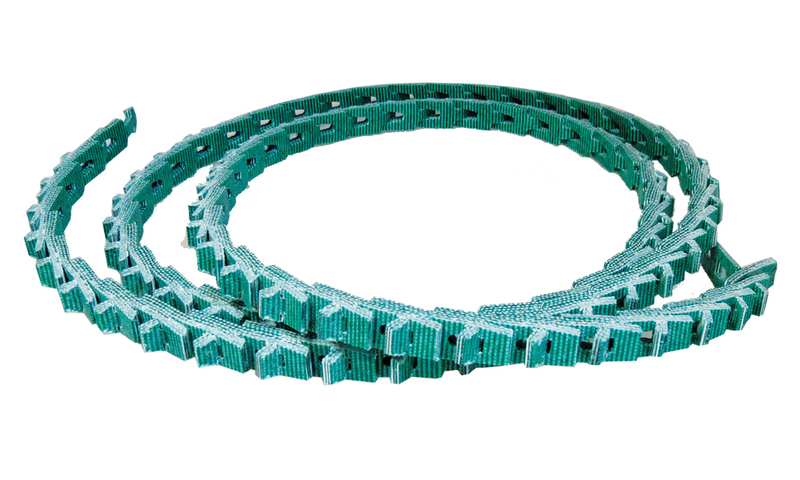 Megadyne Detachable V-Belts make endless with a simple twist, no tools required. Detachable tab-type link belting. Polyester fabric is impregnated with a premium polyurethane compound. Megadyne exclusive manufacturing process makes Accu-Link the most precise belt of its type, for optimum sidewall fit with the pulley. Accu-Link is available in 25 ft & 100 ft cartons, 3L and A-Link also available in 5 ft sleeved length, B-Link also available in 6 ft sleeved length.